No passport appointment if you are a returning OFW, senior citizen, PWD, pregnant woman, solo parent or minor. are not required to get a passport appointment. traveling together need not secure prior passport appointment. and below need no passport appointment. 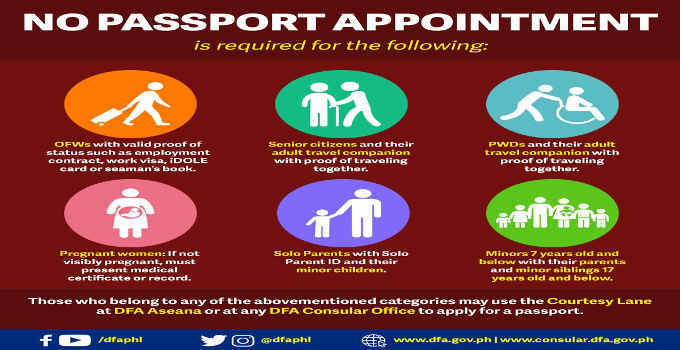 at DFA Aseana or at any DFA consular office to apply for a passport.